How much does a drippy faucet cost a homeowner? The estimated cost of water is $.002 per gallon (the average cost in the United States, although prices differ from city to city). Do you have a toilet that you hear running in your home? Newer toilets hold about 2 gallons of water. If you were to wait two weeks before fixing your toilet, at $.002 per gallon, an estimated cost would be $80.64! You also want to keep your eye out for dripping faucets. If your faucet drips at a rate of 1 drop per second, expect to waste 2500 gallons per year. If you have drippy faucets and running toilets in your home you are losing and incredible amount of money! Let us come and make those repairs so that you can begin to save money! Call now! I think my hot water heater is leaking. What should I do? First you want to turn the water off to the hot water heater. You will find a valve on the cold water line (the pipe on the right as you face the tank), turn it clockwise for off it has a round handle. If it has a lever handle, turn it so the handle is perpendicular to the water line. Second, turn the gas or electric off. For electric go to your fuse box. 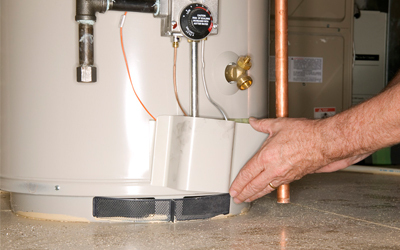 If it is gas turn the knob to off on top of the water heater gas valve. Third, connect a water hose to the drain valve on the bottom of the hot water heater and locate the opposite end in a drain pipe or route outside. Open the drain valve and then go inside the house and open the hot water side of your faucets. How often should I change the filter for my air conditioner or furnace? A good rule of thumb is every six months. However, if you have pets you may be inclined to change it every month using a good pleated style air filter. The toilet seems to keep running. What should I do? Turn the water off under the toilet tank. The valve will be located on the left side under the tank. Turn the valve clockwise until it stops. The problems will either be the fill valve or the flapper. 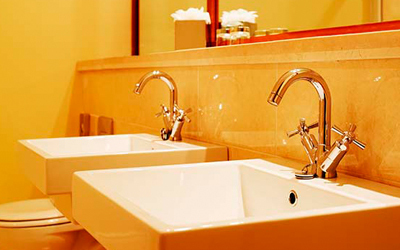 If you have not done any maintenance to the toilet you should replace both apparatuses.